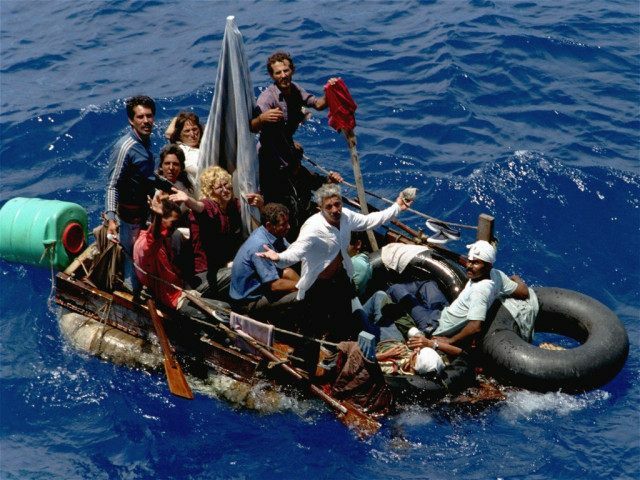 The United States Coast Guard (USCG) did not intercept a single Cuban national attempting to enter the U.S. in the month of April, which the Commandant says is a significant drop from a year ago. The drop in migration from Cuba can be attributed to not only the reversal of the “wet-foot, dry-foot” policy at the end of the Obama Administration, but also to the Trump’s tough stances on illegal immigration, The Wall Street Journal reported. Coast Guard Commandant Admiral Paul Zukunft said the overall drop in immigrants trying to enter the U.S. from Cuba compared to last year is significant. “Clearly, the policies that are out there right now, especially if you have a criminal record, you’re going back to your country of origin. I think that sent a pretty strong signal up and down the food chain that you aren’t going to get a welcome mat if you gain illegal entry into the United States,” Zukunft said. Breitbart Texas reported in April that illegal immigration on the U.S.-Mexico border has also plummeted by 67 percent compared to the same time last year.